I’ve always heard that it’s important to learn something new every day. But lately, I feel like I’ve been learning fifty new things a day, trying to keep up with publishing and social media trends. In many ways, it’s wonderful having so much information available out there. If we want to become traditionally published and need to learn how to write a query letter, polish our manuscripts, or pen a pithy synopsis, we can find resources online to help us. If we want to learn how to self-publish a book, how to format for different platforms, or where to promote a self-published book, we can find that information, too. I started reading the information. I had a moment there, though, when I really didn’t want to do it! Now, though, I’ve learned a lot more about e-publishing. Know what information you’re looking for. It will take even more time if you’re just trying to read everything you can on a particular subject (although that’s definitely one way of learning something new!) In particular, I was looking for information on different e-publishing platforms, where the e-reading public hangs out online, insights on pricing, and how other writers balance self-publishing with traditional publishing. Pace yourself. If you’ve already got a full schedule, cramming a bunch of information in at once is probably just going to lead to burnout. I found myself getting absorbed in the research, so I set a timer. When the timer went off, I stopped reading up on the subject. I’ve got lots of other things I need to do. Or, if you’re putting off your research on the topic, setting a timer for 15 minutes (or whatever your allotted time is) is a great way to remind yourself that you don’t have to study for very long. Jot down anything you don’t understand. Sometimes I run across mentions of loops, groups, forums, and sites that I wasn’t familiar with. I also ran into some formatting terminology I didn’t know. I make notes of things to look up later. Remember that you can contact primary sources for information. Anytime I’ve asked a writer or industry professional a question, I’ve always gotten an informative response back. If you have questions about something, email an expert. If you have to take a break from learning the skill, make a date on the calendar for picking it back up. Because learning is time-consuming…and it would be so easy to just let it slide. Don’t try to catch up with everyone else. Just jump in and start learning. No catching up is necessary. Again, pace yourself. Keep a Word file of the most useful information. It’s sort of like having your own reference file. Learned anything new lately? Got any tips? And—do you ever feel like you’re overloaded with information and resources? The truth is that the conventional book tour – where an author travels from city to city reading and signing at bookstores - is essentially dead. Only the most established of authors still do them, certainly not newbies like me. And it’s actually a good thing that they’re dead, since they’re expensive for the publisher and almost always demoralizing for the writer. I have a friend who once flew cross-country to San Francisco to read to six people and every writer who’s ever been on a book tour has their own personal horror story about the time they sat on a folding chair for three hours, smiling hopefully at every person who came through the door, and in the end sold one book. To the mother of a bookstore employee who felt sorry for them. So if the old model no longer works, what’s emerged to take its place? Enter the blog tour. Cheap, productive, and relatively painless. It works like this. In the modern era, a lot of readers buy their books off the internet and look to internet experts, most likely bloggers, to alert them to new titles worth reading. If you can get your book featured on a blog which has lots of followers – especially followers who are interested in the type of book you write – this can result in more exposure than a conventional book tour. Blogs throw the net wide - across the country and internationally - and they almost always provide a link where an interested reader can immediately buy your book. This creates more sales than a review in a newspaper, which requires the potential customer to read the review, remember the book and author name, and then either go to the computer or a local bookstore to find it. Trust me, the click-and-buy-while-it’s-fresh-on-your-mind model is how a lot of books get sold. My publicist set me up to be on ten blogs a day for the first ten days my book was available. That meant a hundred blogs would blast out something about my book during a two week period – a review, a Q&A between the blogger and me, a guest post I had written in advance. It idea is that a wave of publicity from different sources creates buzz for a launch. One my publicist pitched me to the bloggers, I connected with all of them several weeks in advance of the launch. We did the interviews, supplied the advanced reader copies, and I wrote any posts they requested. Once the blog tour began, I checked in on the participating blogs several times a day to answer questions and interact with people who’d left comments. And since bloggers frequently post their reviews to sites like Amazon and Goodreads, Love in Mid Air began its commercial life with strong sales and a nice cushion of thoughtful, professionally written reviews. It took a little time for me to write the guest blog posts that were requested and to check in on the days they ran, but far less time than it would have taken me to drive or fly around the country on a conventional tour. And if there was negative feedback or the occasional nutcase reader – as there always is – at least I didn’t have to deal with them face-to-face. Tragically, my publicist left my publisher before the launch of the paperback a year later, but by then I understood how it worked and was able to create my own Son of Blog Tour. Of the one hundred bloggers she had introduced me to for the hardback tour I had noticed that about half of them were the most helpful – resulting in the most hits and comments. So I trimmed my list down to the blogs that were simpatico with my book and added a few others I’d found on my own in the year between the hardback and paperback launch. Then, a few months before the paperback launch I contacted them and offered content. Bloggers have to write a lot and are usually happy to have a writer offer up a guest post. I created a list of ten or so topics I’d be happy to write on and invited them to take their pick. You can do the same. If you have a book coming out, and no publicist to help you, simply follow these steps. 1. Months in advance begin to look for blogs aimed towards writers and readers, especially those who feature the kind of books you’ve written. If your book is gritty urban fantasy, it does you little good to appear on a website devoted to Regency romances. 2. When you find websites you like, poke around them for links to similar websites. Many bloggers have lists of other blogs they like and birds of a feather really do flock together. 3. Simultaneously begin to build up your own Twitter lists and Facebook friends. Once your blog posts go live you’ll want to be able to get the word out as far and wide as possible. 4. A couple of months before your launch, begin to contact the bloggers. Offer them a copy for review, offer yourself up for an interview, or offer to write a guest post on a topic that will be of interest to their readers. 5. Send in the content, along with a jpeg picture of you, the cover of your book, and a link to a site that sells your book well in advance. 6. On the day your blog post goes live, announce this on Facebook and tweet it throughout the day. Check in on a regular basis to interact with people who have left comments. If someone writes an especially astute comment, friend them on Facebook or start following them on Twitter. 7. Check your Amazon figures, or whatever seller you’ve chosen, throughout the day to see if the blog is helping create a bump in sales. Knowing which blogs work best for you will help with further publicity efforts down the road. 8. When it’s all over, write a thank you note to the blogger. These people are the unsung heroes or modern book publicity. See? It’s really not that hard and the best news of all is that it’s fun. It links you to people who have similar interests, who read and write the same sorts of things that you enjoy. Writing can be an isolated and lonely business and the blog tour can be a great way to pull yourself into a thriving, interactive, online community. As well as selling books along the way. 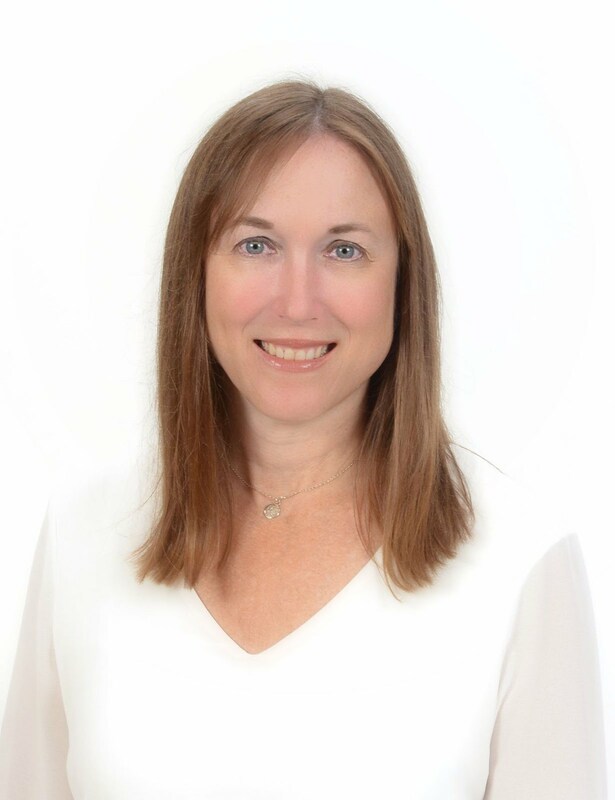 Kim Wright has been a journalist for more than thirty years, and is both an award-winning travel writer and novelist. Her nonfiction guide, Your Path to Publication, is available from Press 53. It covers all the things writers need to know after they finish their books – networking and social media, getting an agent,contracts, working with editors, marketing, and the ups and downs of self-publishing. Kim’s novel, Love in Mid Air, is available in bookstores and on Amazon.She is presently at work on a mystery about Jack the Ripper. The Writer’s Knowledge Base search engine, designed by software engineer and writer Mike Fleming, makes all these links searchable—try it for searches on plotting, characterization, querying, book promo, and more. Sign up for the free monthly WKB newsletter for the web's best links and interviews: http://bit.ly/gx7hg1 . I’m compiling a directory of ebook professionals—cover designers, formatters, freelance editors, etc.—to make it easier for writers to connect with services. If you’d like to be added, please email me at elizabethspanncraig (at) gmail (dot) com with your contact info, website, etc. The directory can be accessed here. I released an ebook last week. Progressive Dinner Deadly is a Myrtle Clover mystery and is currently available for $2.99 on Kindle and Nook. Hope you’ll mention it to any friends who enjoy mysteries. My friends are, generally, nice people, but they do laugh at one particular handicap I have. I can’t for the life of me describe anything to do with fashion. I’m not writing catalog copy (thank goodness), but I am writing books that women will read. And I know many women like at least some sort of an idea what characters are wearing. Plus, clothing can be an indicator as to a person’s profession or give some insights into them as a character (I’m wincing wondering what my clothes say about me…). So I’ve spent a good deal of time reading ad copy and catalog copy for clothing companies. I’ve also gone to paint store sites to read their descriptions of color and texture. I’ve visited curtain manufacturer websites, oriental rug websites…you name it. I’ve tried to get a feel for descriptive language from people who use it to sell products. There are also sites like The Bookshelf Muse which help connect writers with descriptive terms for colors and textures. The important thing, I think, is knowing where our writing weaknesses lie. Because there are so many ways we can learn how to overcome them. Got any writing weaknesses? How are you addressing them? I’ve noticed in the past that my mood influences my writing. It’s been a really busy last few days, as I mentioned yesterday. I’m trying to take things a little slower now and plan some of my day ahead of time. But it’s still busy. And that, unfortunately, makes me cranky. I don’t really like to be busy. But busy is a way of life for me. I noticed my crankiness coming through a character a couple of days ago. The scene involved a neighbor’s visit and was intended to be a springboard to set up a murder. My protagonist, though, didn’t want to be visited. She wanted to be very still and drink herbal tea. She was decidedly grouchy when she answered the door and ungracious during the course of the visit. And she wasn’t supposed to be! I stopped writing the scene and worked on another part of the book—a section where there was real tension in the room and the characters were all angry with each other. Some books I’ve written straight through from start to finish. If I run into a block, though, or if the writing gets too close to me (because I don’t write myself into books) , it’s better to just open another Word document, save it under a scene description, and write the scene I’m in the mood to write. My muse and I have never been on speaking terms. Luckily, I can work around her. Do you write out of order sometimes? Do you ever feel your mood leaking into your writing? Life is usually pretty fast-paced here. Recently, it’s been faster-paced than usual. Today is the first day of school for my children. The last week has been a blur of preparations for school, celebrating a family birthday, and other activities. One of my babies is going to high school today…and I really don’t know where the time has gone. On Tuesday, there was an earthquake in Virginia. The tremors were felt as far away as Georgia. I’d been driving at the time, focused on the task so that I could check something else off my list to get to another thing on my list…and then another. Several other people asked me if I’d felt anything. I think, on Tuesday, the ground would have had to have opened and swallowed me up before I noticed. No, I didn’t notice an earthquake. If I felt anything, I probably just attributed it to uneven pavement under the car. But if I’d been reading on a quiet porch in South Carolina? Sure. I’d have felt them then. This makes me think that I need to give myself a little more breathing room each day to just observe. Whenever I’m not running frantically, I’ve noticed that I get more ideas for my writing. I might get a character idea or a bit of description, or a plot twist. It might even be something big, like an idea for a series. Although I don’t see life getting any quieter in the next couple of weeks (the opposite is true, actually), I think I’m going to get up earlier to get prepared for it all so that maybe I can fit in my breathing space between it all. I usually get up at 5---I think I’m going to make it more like 4:30. And maybe do more list-making the night before I turn in. That way I won’t be playing catch-up each day. I was at a local amusement park with my children last weekend and was put in an uncomfortable situation a couple of times in a row. We were in the water park when a family took it upon themselves to have a humongous, awful argument about five feet away from me. They were calling each other names (the children as well as the adults), being passive aggressive, being openly aggressive, and being overall very loud. The dad was a bully, the mom was shrill, the teenage son was accusatory. I tried to escape. It all made me think about creating discomfort in our books. Putting our characters in uncomfortable situations can be a way to create humor. It’s fun to put a character in an uncomfortable situation and see what happens. My character, Myrtle, gave a disastrous dinner party and she was so serious about trying to make everything perfect. When it all backfired on her, it made the scene funny. By making our protagonist feel uncomfortable, we can pull our reader into the tension that she’s feeling. This will evoke sympathy for our character. This discomfort can be used as a way to keep readers turning pages….readers want our friendly protagonist to get out of the situation she’s in. Lend a sense of realism to a scene. We’ve all been in situations where we feel uncomfortable. Readers can relate to it. Do you like making your characters uncomfortable? How have you done it in the past? I usually have a good time naming characters, but I’ll admit that sometimes I have to go back and change names later. Or add them. My editor for the quilting mysteries called me a couple of weeks ago. “Does your victim have a last name?” she asked. I blinked. Did she? I told my editor I’d email her, then went through the manuscript, searching for it. Nope, she sure didn’t. The victim didn’t really need one at the time, but my editor needed a last name for the back cover copy. Oddly enough, I did have a last name in my brainstorming notes but it hadn’t come into play in the book…I guess I just used it to set the character in my brain when I was drafting. This kind of last-minute change or addition of names has happened to me before. Not everyone should be named. Bit characters can usually just remain unnamed and just tagged. We should avoid naming characters names that start with the same letter. I’m editing a book I wrote a long time ago and I’m amazed that I have 3 characters whose names start with B. Really? I’m changing them. I try to find appropriate names for my characters. Right or wrong, there’s definitely baggage that comes along with certain names. If I were going to write a beauty queen, I probably wouldn’t choose the name ‘Gertrude’ unless I was trying to be funny. Trudy, though, might work out well. I wouldn’t name my intellectual Biff…again, unless I was trying to make a point. It would be too much work to try to undo the readers’ quick leap to stereotype. Do you enjoy naming characters? Do you always stick with a character name or have you changed them in the past? We frequently hear, as writers, the advice that our protagonist needs to want something. And Vonnegut did say every character…not just our protagonist. Of course, though, it’s natural to focus on what our main character wants. If there’s something he really wants and we keep it out of his reach, we’re creating tension and conflict with whatever is keeping him away from his goal. It’s also important for readers to know what our protagonist’s motivation is. What his stake in the story is. Sometimes it’s fun to have the protagonist struggling to choose between two separate things that he really wants….things that might seem mutually exclusive. But have them both be extremely important to the character. Obviously, this creates even more tension. What if our protagonist’s goal and what he wants changes during the course of the story? What happens then? But we also have antagonists to work with. And if her goal is opposite from our protagonist’s, then we’re setting them up for battle. What about those characters who want the same thing that our protagonist wants…but maybe they’re inept in some way or accidentally bumble through and mess things up. Unintentionally. Below are my writing-related tweets from the last week. I also released an ebook this week. Progressive Dinner Deadly is a Myrtle Clover mystery and is available for $2.99 on Kindle and Nook. Hope you’ll mention it to any friends who enjoy mysteries. Is it just me, or did this week go by in a blur? Critique sites. Clarissa Draper focused on critique groups this week on her blog, Listening to the Voices. She talks about what it means to be a critique partner/beta reader, launched a critique partner match-up feature for her blog, and linked to six other sites that match writers with crit partners. I’ve noticed a lot of posts lately about doubts, concerns, and a lack of confidence. Insecure is a term most writers use to describe themselves…. Alex is working out the logistics of this project and was looking for feedback in his post on Friday. I applaud Alex for setting this up because I think if a writer is confident (and maybe even stubborn), they’re going to go far with their writing and stick with it. And, this week, I opened up a free directory for writers looking for cover designers, ebook formatters/converters, freelance editors, etc. It’s not pretty (my spreadsheets always look clumsy), but all the information is there to get you started if you’re in the process of looking for a pro to help you with your ebook. I also released an ebook this week. :) Progressive Dinner Deadly is a Myrtle Clover mystery and is available for $2.99 on Kindle and Nook. Anyone else got anything to announce or promote for the week? I’d been hearing good things about Paula McLain’s The Paris Wife, so I recently downloaded it to my Kindle and read the book. I really enjoyed it. As a writer, it’s hard not to, though. After all, he was a literary genius. He’s got to get those books out there. Don’t hold him back, Hadley! There were other times, of course, when Hemingway was less than likeable. One of the things that apparently created some concern for Hadley Hemingway was the way that Ernest wrote about their friends and even parodied one friend’s work (destroying some friendships in the process). And the fact that he didn’t write about Hadley in The Sun Also Rises. Apparently, everyone knew who Hemingway’s characters were drawn from. So some people were upset at being portrayed in a particular way and some were upset at not being portrayed at all. This could become a problem with our own stories, too. Friends or family could get their feelings hurt. The thought of libel isn’t too thrilling, either. For me, it’s more fun to take lots of small bits of different people and make it into a sort of Frankenstein’s monster of a new character. That way I’ve still got the solid traits that I can easily describe, but I’m not drawing too much from one person. To me, it’s just not worth losing friends over. Some characters may be amalgams of many different people I know, but I’m not going to use one person’s life or appearance to base a character or story on. Do you write about people you know? Do you have a line you won’t cross? This surprise doesn’t have to be anything as dramatic as a twist ending. It can be something as minor as a character showing an unexpected bit of depth or an unusual facet of his personality. But I also like it when I’ve expected the plot to take a particular trajectory and something else happens. I like to see an unexpected bit of trouble thrown at a character, too. How will they react? How does it change the direction of the story? As a distraction: A suddenly erupting argument or a quickly-contained but alarming grease fire provides a wonderful opportunity to slip in a clue under the radar. Writers of other genres can also use this slight of hand technique to protect a larger surprise later in the book. For adding humor or quirkiness: You think a character is going to behave in a particular way. You’ve carefully portrayed Agnes as an uptight prude. Your protagonist views Agnes that way. Then Agnes says something outrageous and brazen that completely shatters this stereotype. Or Agnes invites the protagonist to lunch—and serves McDonald’s Quarter Pounders with Cheese on her delicate china. With Bloody Marys. For suspense: You can write a fairly ho-hum scene with a character going through her usual routine…which is suddenly interrupted when she’s carjacked. As a change of pace: Is your scene getting stale? Is your character going through the same motions every day? Liven things up with something unexpected. It doesn’t have to be something major (scary landing during their plane trip)—it could be something as minor as a flat tire or a broken air conditioner that takes their day on a different and surprising trajectory. As a way to add depth to a character: While we want our characters to behave in character, it’s always fun to see different facets of a character, too. How do they react when we put them into an emergency situation? How do they react when we poke fun at them or put them under stress? What happens when we press their buttons? Sometimes their reactions can surprise us. Do you enjoy throwing in surprising elements to your story? Do you use big or little twists? Back up your writing and everything else that’s important to you on your computer. And…back up to more than one place. What if your backup fails? It’s happened to me before. Use a flash drive. Cheap. Easy. Use an external hard drive. Word files don’t take up much space, but you might want to buy an external hard drive if you have a lot of music or pictures to back up. Print a copy. Bulky and a pain, but an option for anyone looking for a really low-tech option. Use an online storage solution like Dropbox or Carbonite. You should also backup your blogs. They sometimes disappear, too. Here is an article on the Guide to Literary Agents blog that discusses how to backup a Blogger, WordPress, and LiveJournal blog. Also, if you’re on Google Reader, remember to subscribe to your own blog there. You’ll be able to access all your old posts from the Reader. What do you use for backing up? It’s out! 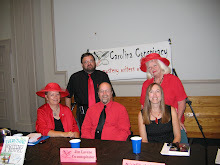 Progressive Dinner Deadly, a new Myrtle Clover mystery is now available on Kindle and Nook for $2.99 . 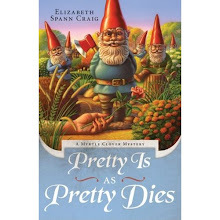 This is a follow-up to Pretty is as Pretty Dies, published by Midnight Ink in 2009. I’m publishing this book myself. When intrepid octogenarian sleuth Myrtle Clover caught Jill, her new housekeeper, peering into her medicine cabinet, she should have been upset. But discovering that Jill wasn’t such a squeaky-clean goody-goody made her vastly more interesting in Myrtle’s eyes. Myrtle would have happily continued figuring out what made Jill Caulfield tick…if Jill hadn’t foolishly gone and gotten herself murdered. Thanks to Kendel Flaum, who designed the lovely cover, and Keith Snyder from Typeflow who formatted and designed the interior of the book. I wanted, also, to go ahead and share with y’all a work in progress—the ebook services directory. It’s in a Google Spreadsheet format and divided into cover designers, formatters, freelance editors, ghost writers, and book trailers. It’s a work-in-progress because I don’t frequently work with spreadsheets (which you’ll probably be able to tell!). :) I’ll be coming up with a badge and a bit more of a polished look, soon. Also, it’s something that it looks like I’ll be adding to every couple of days (I’m getting in plenty of additions.) But I wanted to go ahead and make it available since I’m already getting emails from writers asking for it. I did put a caveat emptor on there because, unfortunately, I don’t have time to vet everyone. As always, and with any business arrangement, please enter the relationship with caution. This directory is intended to be a starting point to connect writers with services, since currently the ebook industry seems to be working on word of mouth. Friday afternoon my husband and I had a nice lunch together, then he asked if I could run an errand for him (he was going back in to the office) and return a purchase to a major electronics chain store. I walked into the store, in my usual sort of absentminded fog, strolled over to the customer service area, and immediately noticed that everyone was very angry. There were two men from management looking grim and anxious with their arms crossed. The customer service representatives were frozen. There were two customers being helped at the same time and both were sort of leaning in over the desk, looking tense. There was a police officer (who is frequently assigned a beat at the store) watching intently. The customers in line seemed very stiff and kept looking sideways at each other. But I didn’t get an answer because suddenly the woman erupted like Mt Vesuvius, yelling that that was the worst customer service she’d ever seen, going up to the police officer and seeming to make some sort of low-voiced suggestion to her (maybe that they arrest the customer service department?!) then storming out the door, still yelling. Afterwards no one looked at anyone else and the customer service people started quickly helping the rest of the line. And I never did find out what was going on. But it made me think that this is the kind of thing we want to do with our readers. We don’t know what kind of day our readers are having. Maybe they’ve just had a nice lunch and are feeling happy and daydreamy, like I was. Maybe they’re having a rough day or week. We want to drag our readers into something different—something funny, something tense, something interesting. We want to provide some escape and something to pique their curiosity or interest. We want to get them hooked. Read any good openings lately? Written any? How do you propel your readers into a new world? Below are my tweets from the last week.